All Types Of Vegetable Seeds Are Needed. Several have requested more information about our “Need For Seed” program. Here is a reply I sent to a recent request. Thanks for asking about our “Need for Seed” program. Hope Springs is involved in providing wells and drip irrigation farming workshops in sub-Saharan Africa. This combination of wells and drip irrigation farming training enable people who normally could only farm during the short three month rainy season to raise crops 12 months out of the year. Our program helps to provide seed needed to get people started in learning these skills. Seeds can be sent any time, but seeds are usually only available for purchase here in the US in the Spring and Summer. 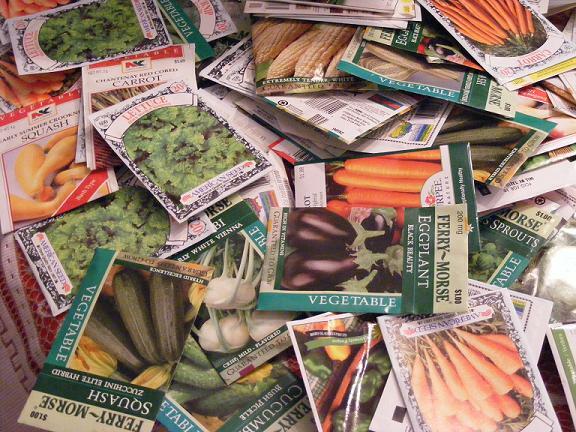 We can use all kinds of vegetable seeds. Many of the seed varieties we have available here will grow in Africa, but they simply are not available. Seeds can be mailed to us here at Hope Springs International, 118 Wessington Place, Hendersonville, TN 37075. We will ship the seeds from here to locations where we have Drip Irrigation programs working. 1. Make an announcement at your church, office or other places that you are collecting seeds for use in Africa. Provide a donation box or just have folks bring them to you. 2. Email your friends list and have them send seeds to you to forward on to us. 3. Talk to stores that have seed displays and ask them what they do with left over seeds at the end of the season? Ask them to consider donating left over seeds to Hope Springs. 4. You can promote our “Need for Seed” program on social networking sites like Facebook, Twitter, etc. Link them to our site or just spread the word through your own. Hope this helps and thanks again for writing. Categories: Drip Irrigation Farming, Drip Irrigation Workshop, Seed | Tags: Agriculture Campaign, Drip Irrigation, Drip Irrigation Workshop, Seed | Permalink.